21 Amundsen Street in Norwalk is the perfect combination of location and condition. 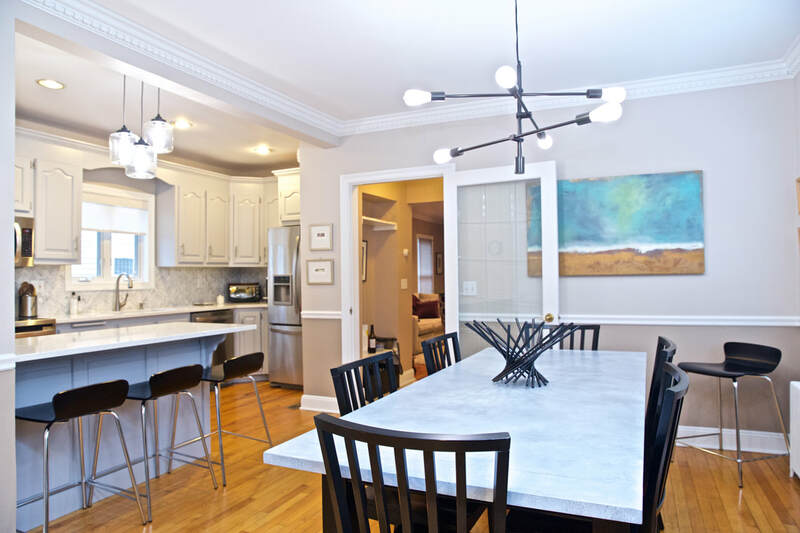 Seconds from the Westport line, a minute from the East Norwalk Train, and five minutes from I95 and the beach, this home is centrally located for today's buyer. Located on a cul-de-sac, this home fits well with the neighborhood, full of a great assortment of large and small homes, all well-maintained by their owners. Upon arriving at the home, you can park in the newer driveway, with ample space to fit many cars off-street. The front of the home matches the interior, with well-manicured bushes, stone work, and lots of detail that set it apart from the rest. Entering the front door greets you with a large living room, centered around a stone fireplace/accent wall. The next room in is the large, eat-in-kitchen/dining room. With hardwood floors in every room except the bathrooms, there is a consistency that is missing from any homes that have been added on to. The kitchen has quartz counters, stainless steel appliances, a breakfast bar, recessed lights, and all the updates for today's buyer. It also has a door to the full, dry basement. Next up, after passing a full bath, is the cozy family room. 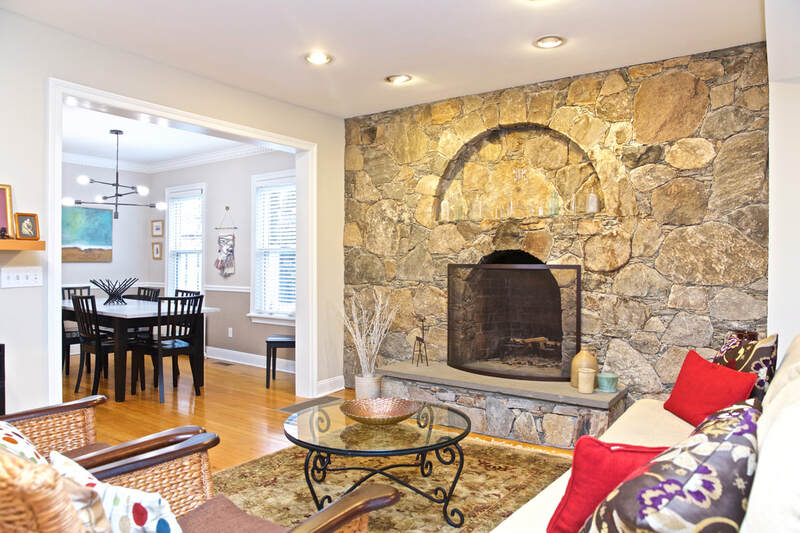 This room features a second fireplace with a stone mantle. It also has a few closets to add to a huge amount of storage space. This room also has a full stair case up to the master suite, but also a door to a large, private deck, and the driveway--the second entrance. The deck is private, with large plantings surrounding it to create an oasis from the neighbors, and a small yard. Upstairs, there are three beds and two full baths. The master suite can be accessed through the back staircase, or through the second bedroom. It has vaulted ceilings, recessed lights, a large walk-in closet, and a full bathroom. The full bath has stone work throughout, and needs no work. The front staircase from the living room leads to a hallway and two bedrooms. The first bedroom has a hidden and clever use of the closet--an office. There is a second closet for clothing and anything you need. The final bedroom can be accessed through the front or back. It is a perfect nursery, office, or bedroom, and has a wall of closets. In between those two bedrooms is another full bathroom, also fully-updated. There is attic space, a full basement for storage and laundry, central air conditioning, and so many other features that make this a steal at $519,900. So see it first before it gets sold! 21 Amundsen Street is a breath of fresh air in a market absent of quality homes. It has the excellent balance between location and condition, maximizing on both. With no work to be done by a future buyer, you better see it before it goes! !